Tell me that Dale wouldnt be a Trump supporter. I don't know, he just kind of seems like he'd support Trump. Then again he might have all kinds of conspiracy about him. The hat was to help make it look modern. Nice job. 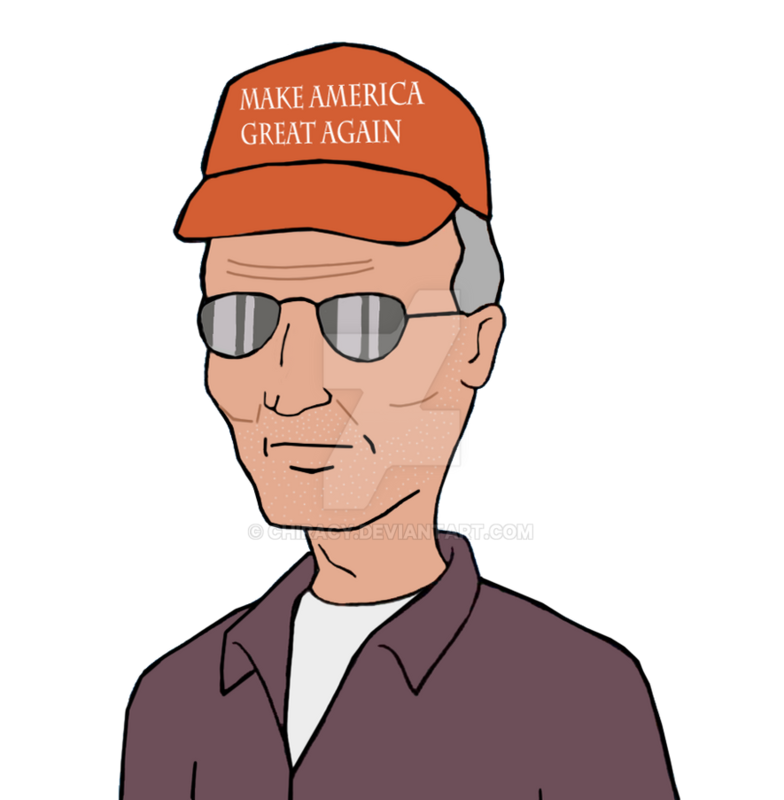 Dale probably would look like that in 2017, and I could see him as a Trump supporter. Also, last year, there was actually talk of possibly reviving King of the Hill.